What is A Dry Eye Spa? Our Dry Eye Spa is a specialty spa treatment at our Optometric practice in Midtown Manhattan. Our eyes take a beating from hours spent on computers and phones, lack of sleep, environmental conditions and the weather. 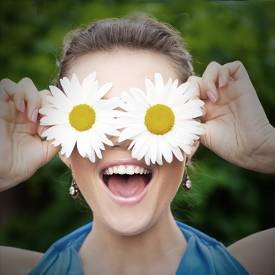 At the Dry eye spa, our goal is that after the treatment you will walk out feeling incredible and refreshed. We use a variety of different methods of treatment as determined by our eye doctor for your specific case. We utilize the latest technology to assess and treat the underlying causes of your dry eye symptoms including Lipiflow and Blephex. Relax and enjoy the specially formulated products that boost your eyes ability to retain moisture and produce tears. Option to schedule a one time spa treatment when your symptoms are bothering you or to book a package that will provide year long treatment. Hate going to the eye doctor? Our spa is designed to leave you relaxed and smiling, no rushed optometrists and long waits. The Dry Eye Spa makes a great present for Mom (and just about anyone suffering from painful, burning, watery, and dry eyes). Ask us about our gift options. More than 50% of American women suffer from dry eyes, and women over 50 have double the incidence of dry eyes then men of the same age. New technology such as Lipiflow show incredible results in relieving symptoms. Do Your Eyes Feel Dry From Contact Lenses? Why should I visit the Dry Eye Spa? As a leading dry eye practice in NYC, our optometrists will show you the many different methods you can use to actively manage your dry eye symptoms. From showing you the latest contact lenses designed to reduce discomfort from dry eyes, to teaching you to use warm compresses and eye vitamins. You will leave the spa feeling great from the latest treatments and equipped with the tools to continue to feel your best.